The 2017 Readers' poll winners were recently announced for Algae Industry Magazine. 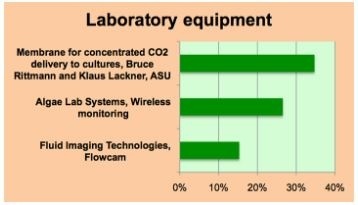 In the category of laboratory equipment, FlowCam 8000 was awarded Bronze. 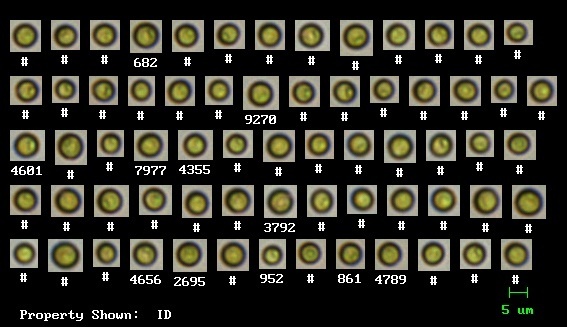 Continued research in biofuel technologies and algae cultivation has increased demand for techniques to monitor and quantify cell- and species-specific lipid accumulation in photosynthetic phytoplankton. 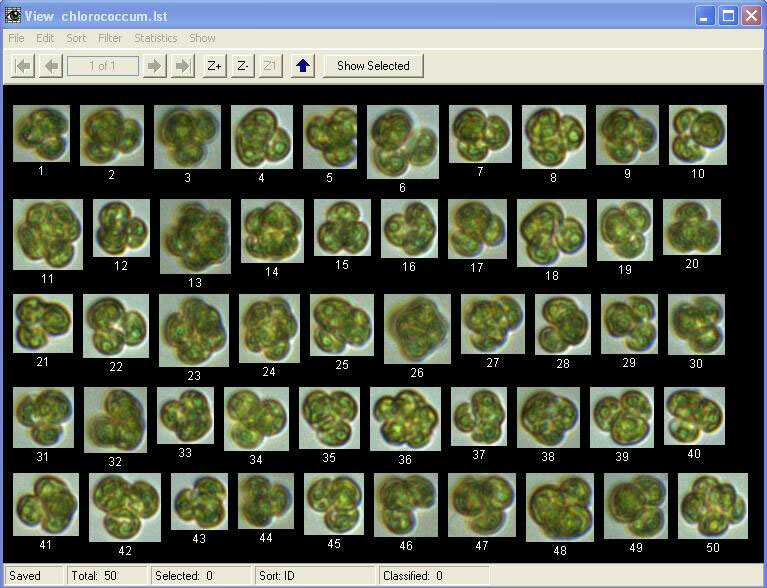 High production rates of traicylglycerol (TAG), a lipid produced in microalgae, is a desirable trait in microalgae selection and cultivation. 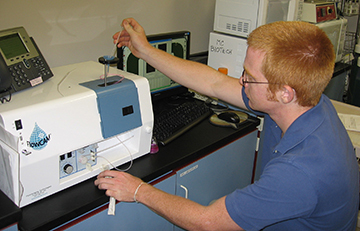 TAG is used in a variety of applications ranging from biodiesel production to omega-3 fatty acid supplements. In a study published in Biotechnology for Biofuels (Cabanelas et al., 2016), Chlorococcum littorale, a strain of microalgae with increased triacylglycerol (TAG) productivity, was identified and analyzed. The cellular properties of the strain were imaged, favorable sub-populations were isolated, and confirmed for increased TAG productivity. Large-scale, commercialized microalgae cultivation and harvesting processes which are used to produce algae-based biofuels are resource intensive. Processes to dewater algae during harvest consume a lot of energy. Centrifugation, chemical coagulation, and electrocoagulation flocculation (ECF) using batch reactors are a few examples of existing harvest processes. These methods require high energy input, large amounts of chemicals, and/or additional infrastructure such as settling tanks. Coral Jane Fung Shek, a graduate student at Johns Hopkins University, explored the efficacy and accurary of using dynamic imaging particle analysis, also knowns as imaging flow microscopy, for conducting quantitative morphological analysis of algae, and the accuracy of this method for color sensitivity and algal cell counting. Research suggests that microalgal-based biofuels offer a promising alternative to fossil fuels, providing environmental benefits and rapid production rates that could match the modern energy consumption of fossil fuels. 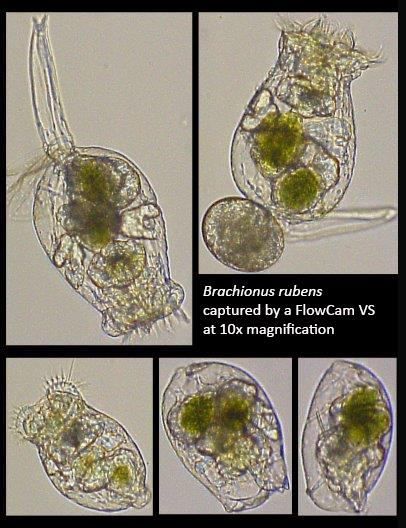 However, large-scale algae cultivation, which is utilized in algae-based biofuel production, is susceptible to opportunistic algal crop predators, such as rotifers, which can quickly destroy a large algae population. Thus, there is a need to develop a method of early detection and quantification of these potential predatory grazers in algal cultures. 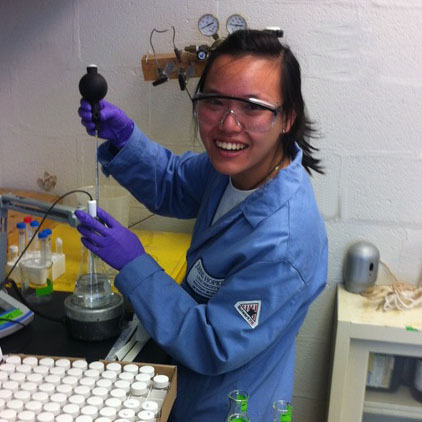 We've awarded our 2014 Algae Technology Research Grant to Coral J. Fung Shek, M.S.E. Candidate, Department of Chemical and Biomolecular Engineering, Johns Hopkins University. Her proposal, Design and Establishment of Artificial Lichens for Biofuels, was selected after a series of in-depth reviews by a panel of independent industry experts in the Algae Technology field. Congratulations, Coral! 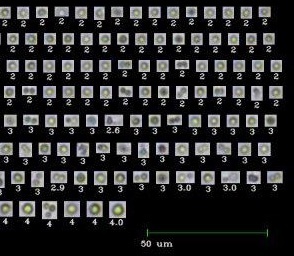 Judging criteria included scientific merit, appropriate use of the FlowCam® and the ability to obtain measurable results during a research period of four months. Algae offers the potential to serve as attractive, renewable sources for fuel, feeds, and other products such as plastics, chemical feed stocks, lubricants and fertilizers. For this reason, interest in algae technology research continues to grow. 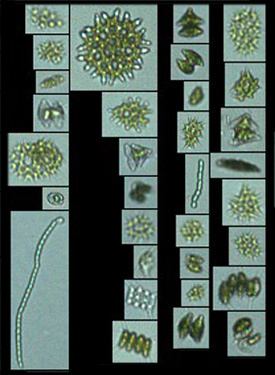 Algae are appealing as a potential source for these products for a number of reasons: they grow fast in relatively simple environments; have high yields per area needed to grow them; absorb carbon dioxide during growth while releasing oxygen; and, unlike some other biomass sources, do not compete with agriculture because they can be grown in areas not used for normal agricultural purposes. With a real-world approach to learning, students at a Texas community college are on a path to success, and so is their algae research. The biotechnology program at Lone Star College in The Woodlands, Texas is replacing textbook learning with practical, hands-on activities and involving students in actual scientific research that addresses today’s real problems.